This piece isn’t the same as the chart that is here. I’ve since talked to her and gotten permission to recreate this chart which is exclusively offered here. 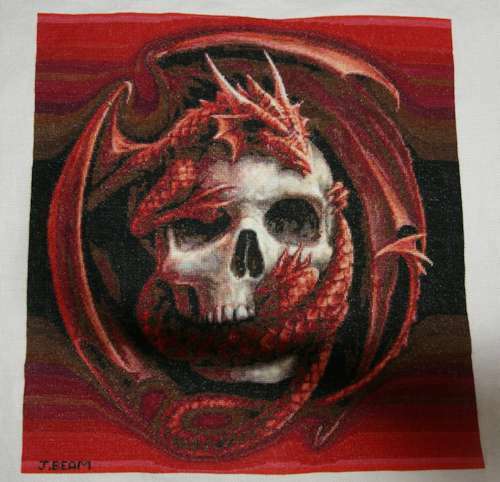 I hope you will check out my version of Red Dragon Skull and consider purchasing. I’m positive your results will be even better than this piece. Which with all it’s flaws I still love.